Newtown ending the season with an amazing score of 97.238 and winning Best Music and Best Percussion, coming in 3rd at Nationals! 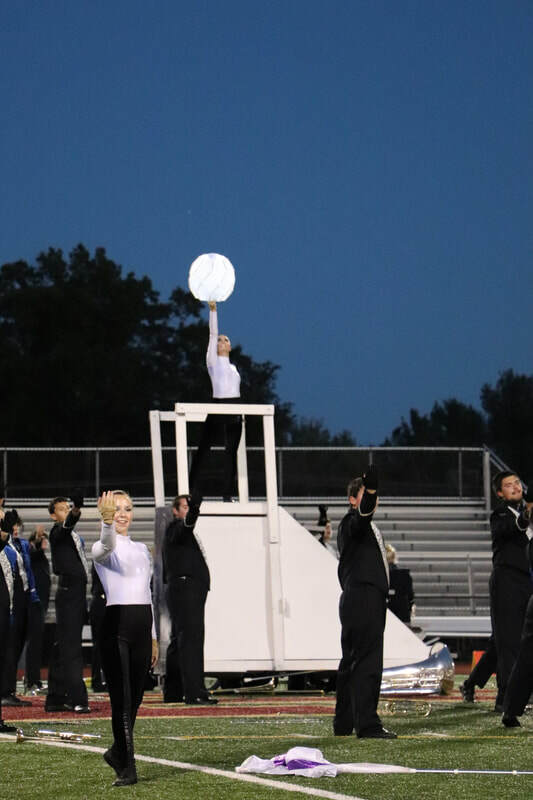 Our 2018 Newtown High School Marching Band Production is entitled 'The Climb'. The show focuses on the battle of believing in yourself - the constant doubt that comes with the fear of failing and the fear of being successful. Throughout our lives we deal with an underlying doubt of not knowing our next step. ​The show opens with a connection to the negative thoughts that circle our mind daily, not knowing if we are good enough, if we are capable, if we are on the right path - a strong level of uncertainty is portrayed through the performs and the black staircase props. The second movement tells us to stare fear in the face, portrayed through mirrors - connecting emotionally to the journey that is life. The third movement advises the audience that sometimes going through the bad is necessary to realize where you are really meant to be in your life. The fourth movement brings the show to conclusion, connecting performer to audience - letting them know it is okay to be uncertain of where your path is meant to lead you, as long as you continue to climb and take the proper steps to be successful - it will work out for you in the end. This is portrayed by the use of white staircases and white color guard uniforms. Make sure to visit the Scores page after the competition. ​See the Schedule page for the full schedule. Visit our Scores page to see all the scores. ​Please do not use without written permission.